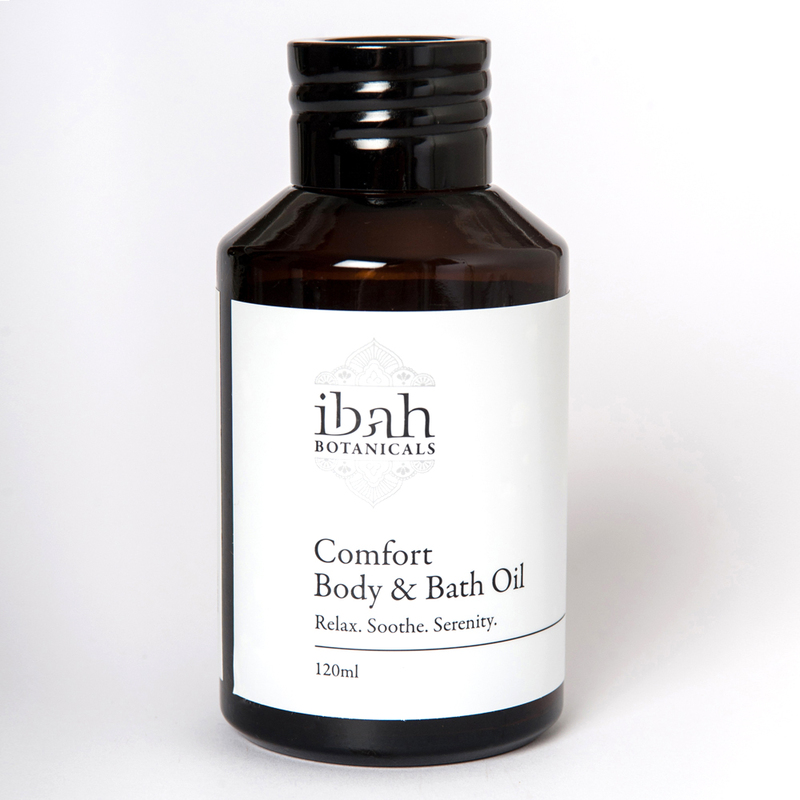 In a base of luxurious Organic Sunflower, Grapeseed and Jojoba oils with essential oils of Rose Maroc, Rose Geranium, Tangerine and Ylang Ylang, this beautiful Comfort oil promotes a feeling of wellbeing. calms troubled minds assisting to relieve tension, stress and anxiety. Soothes irritated dry skin leaving you glowing and hydrated. Organic Sunflower Oil, Organic Grapeseed Oil, Organic Jojoba Oil essential oils of Rose Maroc, Rose Geranium, Tangerine Ylang Ylang, Vitamin E.